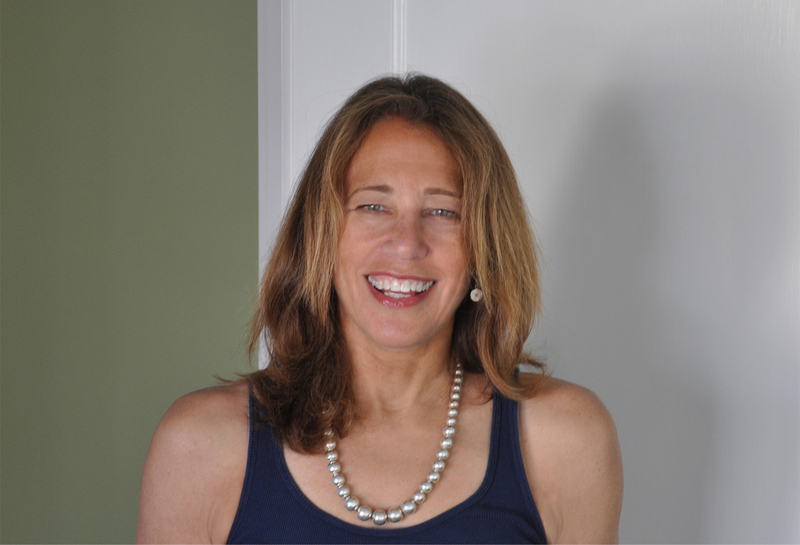 If you are an Apple fan, then you are most likely familiar with the work of Susan Kare. She is responsible for virtually all of the icons used on the original Macintosh, and arguably created some of the most iconic designs of the late 20th century. I myself love the design of these icons; even though the palette was limited to just two colors and there wasn’t much space to work with, Susan Kare managed to give these icons lots of life and personality. 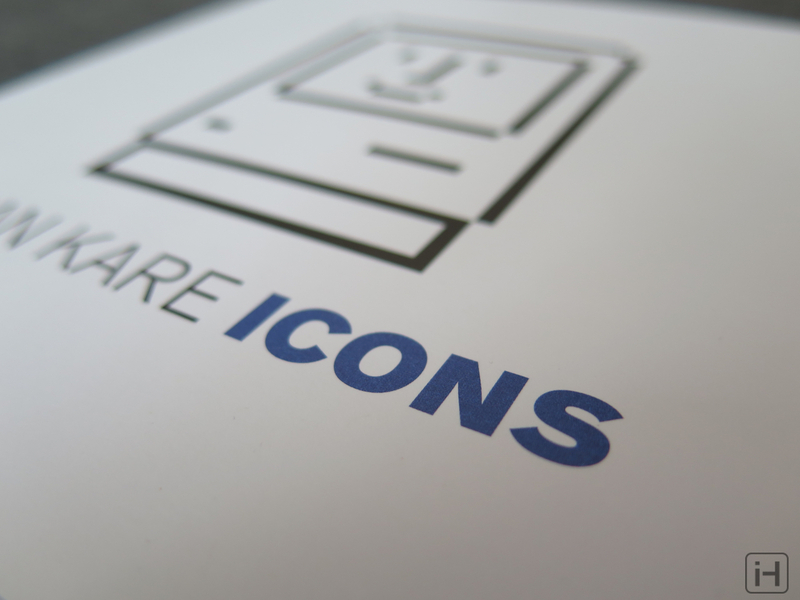 If you are a fan of her work, or if you’re someone who grew up with the original Macintosh, you should definitely check out her special Book and Print set. On her official store, Kareprints.com, you can find a variety of different prints with her famous icons. Just some of these include the famous Happy Mac, Watch, Bomb, Alert, and a Floppy Disk. Some other options include different colors and sizes. 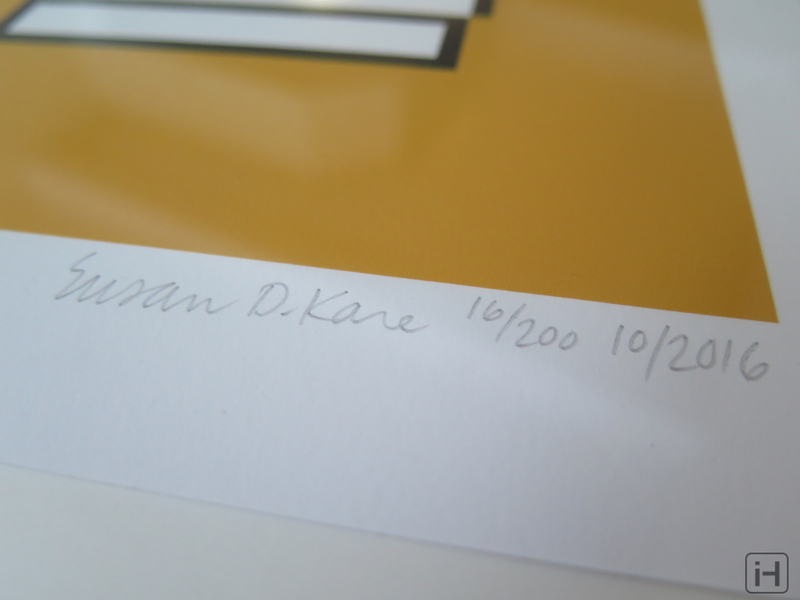 Each print is personally signed by Susan Kare herself, with the prints being numbered and limited to 200. The prints are a bit on the pricey side; starting at $99 for an 8.5” x 11” and ending with $499.00 for an 30” x 40” (That one is limited to 100 copies), but they are absolutely gorgeous, with the icons being super sharp and shining on their colorful background. 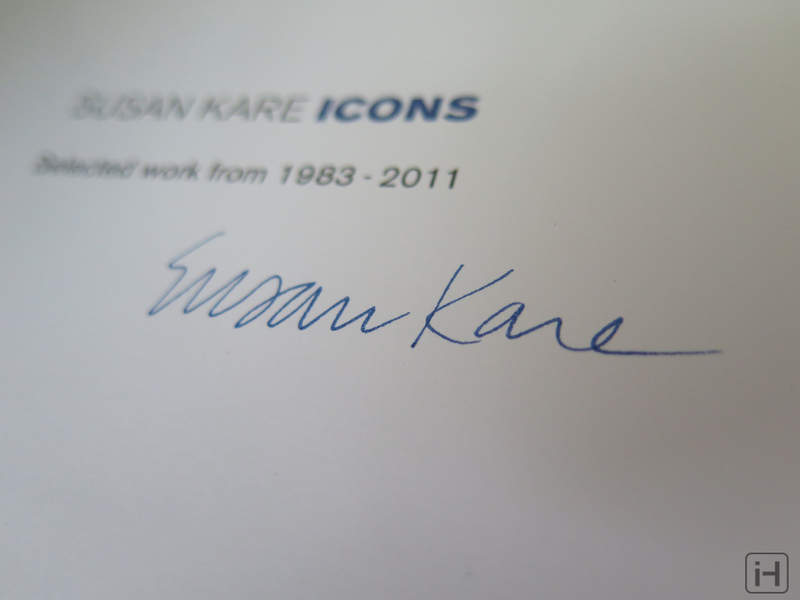 Also offered on her website is a book entitled “Susan Kare ICONS.” In the 7” x 7” book, it highlights 80 of Susan Kare’s favorite icons that she has designed between the years 1983 to 2011. 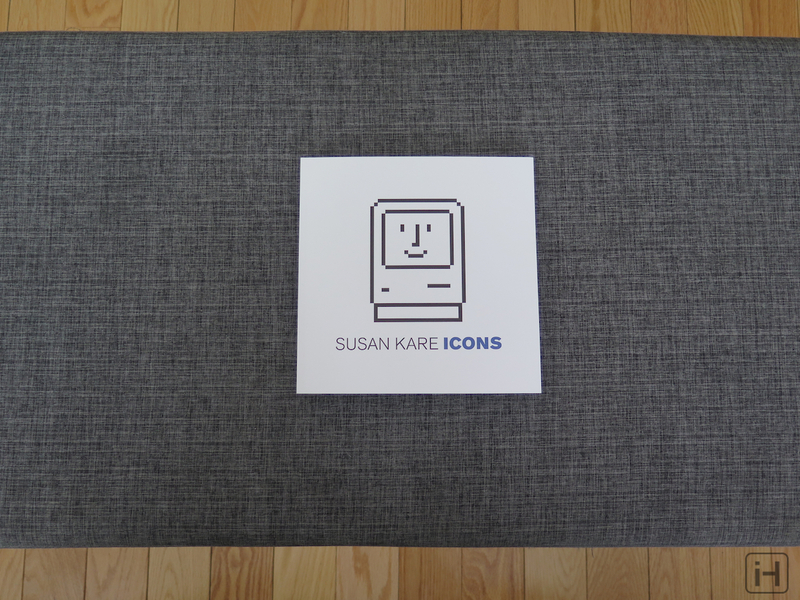 On the inside, it’s signed by Susan Kare, and it features a forward by Steve Silberman. You can buy the book for $44 from her website, or you can buy a Book and Print set which includes the book and an 8.5” x 11” Yellow Happy Mac print for $119. I found the book to be very interesting. It had some facts that even a huge Apple fan like myself didn’t know. For example, did you know that the “Command” (⌘) symbol is based on a bird’s eye view of a castle that was used in Swedish campgrounds to show an interesting sightseeing destination? Or that the reason why Apple’s fonts are named after world-class cities, like San Francisco and New York, is because Steve Jobs wanted to upgrade the naming tradition of fonts being named after train stations? 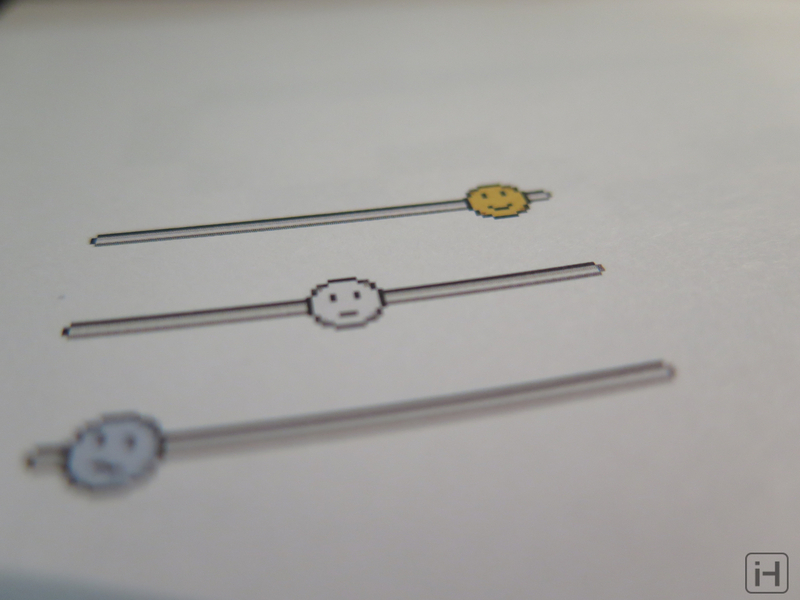 The book isn’t full of information: after all, it’s focus is on Susan Kare’s work, but I enjoyed the accompanying text that went along with the book. Sadly, not every icon that Susan Kare designed is present, but it does include a good amount of her work. The one thing that I wish the book had was more of a premium cover. It’s a softcover book (paperback), which means it can get stained and dirty quite quickly. My book lasted a little over a week before it lost its beautiful simplistic look. It’s quite a shame, as I love the look of it. 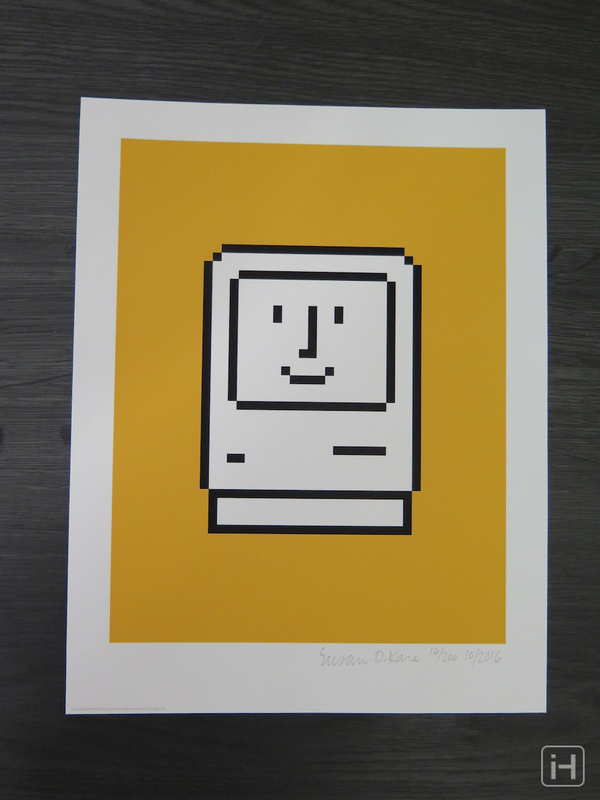 The yellow Happy Mac print that comes with the set is great too. Its simplistic design allows it to fit into almost any modern home, and the bright yellow background really livens up a room. 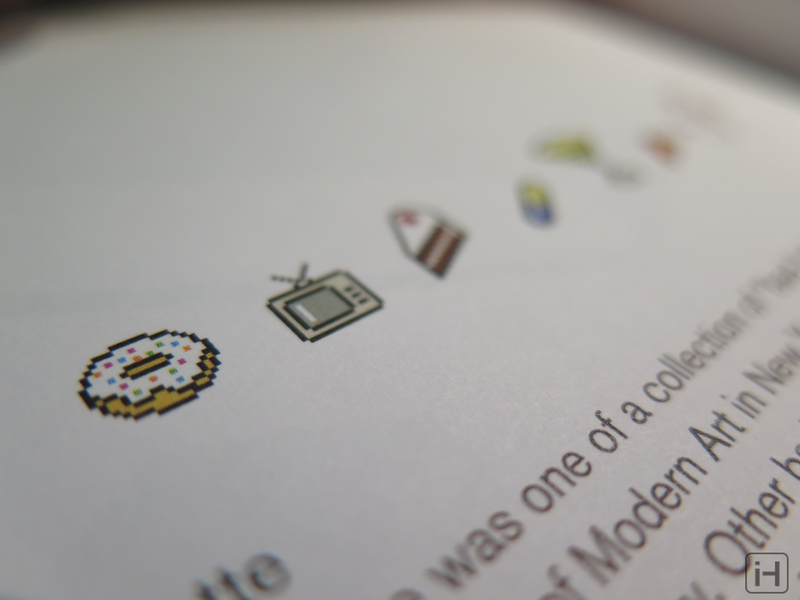 If you like Susan Kare’s work, or you want to get a gift for a classic Mac fan, the Book and Print set is a great buy. It’s a bit on the pricey side at $119, but it’s a unique and limited edition item that your friend probably won’t have, which makes it an amazing gift. You can buy the Book and Print set, or some of her other work, over at her website at www.kareprints.com. What do you think readers? Do you plan on buying any of Susan Kare’s work? Do you have anybody in mind for buying this as a gift? 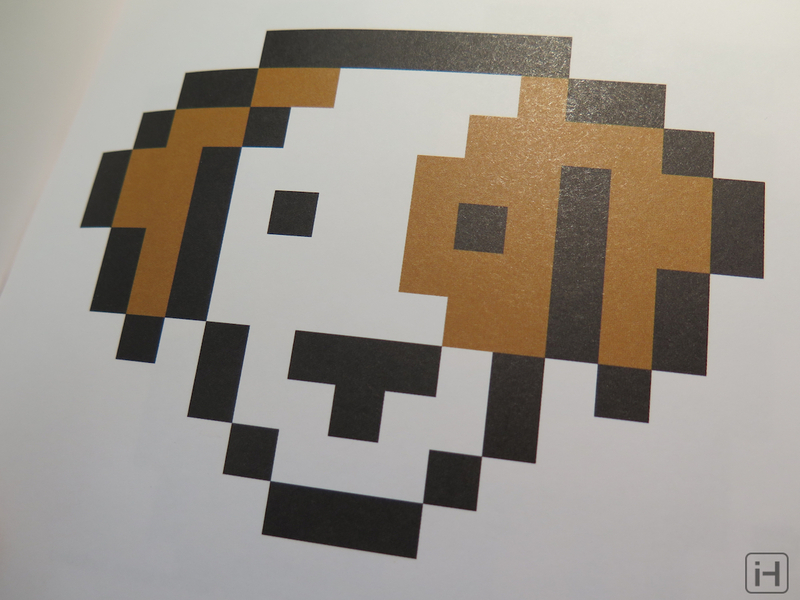 What’s your favorite classic icon by Susan Kare? Let us know all your thoughts in the comments down below!